It will take much more than a ‘Washington read’ of Thomas Borgmann’s résumé to experience the breadth and scope of his dedication to modern music, his grasp of tonal colour, the vivid timbre of his saxophones and his gift for both the vigour and gentleness of the rounded note. 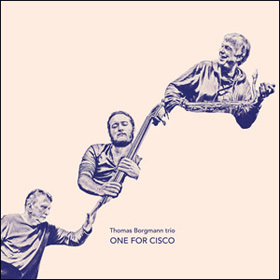 However, it only takes a few bars of ‘One for Cisco (part I)’ for a listener – not just the trained ear – to marvel at all these qualities as the notes in question emerge from the bell of his saxophone, rise as if they are lighter than air, pirouette like an ensemble of dancers executing a complex, balletic choreography of his own making. There to share in it all are drummer Willi Kellers and the young bassist, Max Johnson. 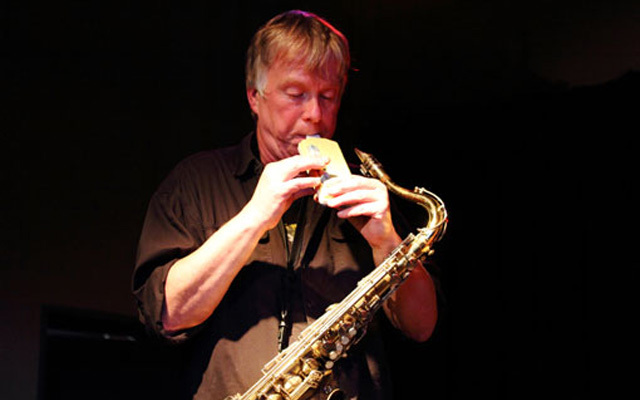 Telling a story in a song without words has been the natural domain of the saxophone, especially in the hands of an expert such as Borgmann. To succeed he would need a sound to die for and an ability to instil in a song, some kind of authentic sentiment drawn from the possibility of the absent words. The saxophonist is blessed with a combination of prodigious wind-playing attributes – dare one say brooding, Germanic – approach to phrasing, quite astonishingly outstanding intonation and a sound which is open and honest, even and focussed on all registers. As for applying some of the textural essence of a song that is at once an energetic character-sketch, a dutiful homage and spirited conversation between the band’s constituents, Borgmann is very detail-oriented with a limitless application of and special application and colour to distinguish particular characteristics. The recital is essentially designed as an unashamed ‘big romantic gesture’ where the ‘story’ theme is but a gentle excuse to offer an identifiable swathe of nostalgic inner warmth, mixed with a well thought out soaring forte. This makes for a cracking, extended solo throughout the set, fastidious control of line, all of which is played as if by a craftsman belonging to a premier guild of woodwind players. The same physical and emotional grasp of the music is shared by Willi Kellers and Max Johnson. While Kellers and Borgmann go back in time, Johnson is like a brand new star, recently discovered by a powerful radio telescope. The result is a masterful workout of modern music both composed and improvised by three marvellous musicians at the New York Tenor Sax Festival 2015, Ibeam, Brooklyn. Personnel: Thomas Borgmann: soprano and tenor saxophones, toy melodica; Max Johnson: bass; Willi Kellers: drums.